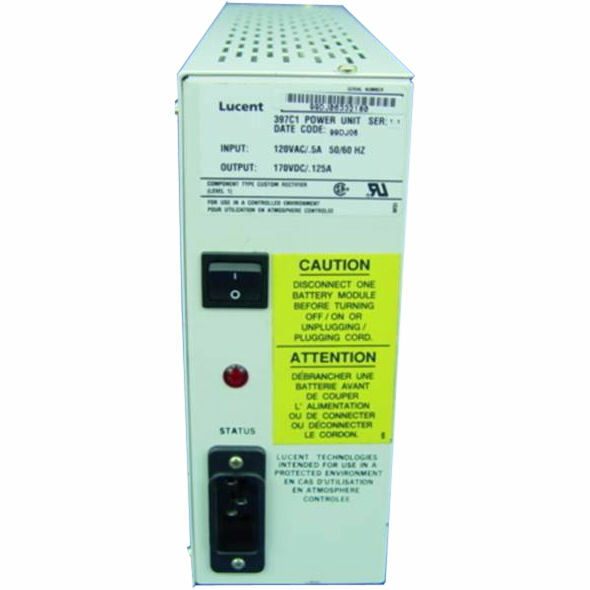 The circuit breaker protects the AC input power to the cabinet and serves as the main AC input disconnect switch. If a problem develops, the circuit breaker automatically trips (opens) and removes the AC power input. The batteries trickle-charge from the battery charger. When AC power restores after an outage, the battery charger converts a 120 VAC input to a DC voltage that recharges the batteries (usually within 24 hours).